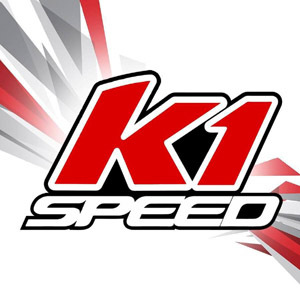 On Saturday, May 13th the engines fired up to kickoff the third season of the Champion Ron Fellows Karting Challenge (CRFKC). The race was combined with the club racing schedules. CRFKC 1 was also MIKA Race 2 and TRAK Race 3. What do all these acronyms really mean? One busy day with a packed racetrack! 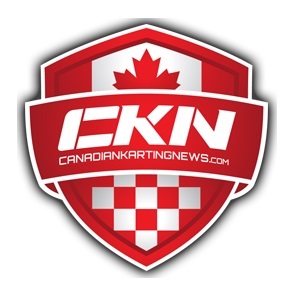 The CRFKC is a four-race program is built around four events split between Goodwood Kartways and Mosport Kartways utilizing a no drop format. This week’s event which is hosted by the Toronto Racing Association of Karters was open to all karters holding a valid ASN club license. Pfaff Motorsports, Champion Spark Plugs, Vega Tires, Briggs & Stratton and KDM Racing provided sponsorship and driver awards for the event. For driver #12, it was the most difficult and trying club race of the year. An incredibly stacked grid included racers from across Ontario including factory backed drivers from Birel ART, Praga and the home team from Intrepid. The level of competition for someone as new to the club racing league as Daniel was going to be difficult. Racing at Goodwood required re-gearing of Daniel’s Intrepid kart, which included removal of the engine. Once the kart was ready, Daniel went out on track for free practice. By the third lap Demaras knew something was wrong. The kart was oversteering badly out of the high speed corners, before finally losing the rear right wheel while speeding down the front straight. The kart spun several times, scrubbing off speed, before making impact with the wall at turn 1. After being checked over by paramedics, Daniel had only one thing to say; “Fix this kart and get me back out there.”. With damage to the carburetor, sidepod, hub (and of course, the missing rear wheel) the crew at Goodwood sprung into action. Goodwood president Daniel DiLeo came to the pits to assess the damage. Afteri removing the rear wheels and replacing both hubs, Big Brian took over. With repairs to the carb complete, Brian noted a ‘mega-twisted’ chain, and installed a new one. Driver #12 missed qualifying while repairs were being completed, but he made it out to the pre-final…in 41st and last place. Daniel made quick work of the competitors at the back of the pack, making several passes on the first three corners. By the hairpin at turn 4, Daniel was making serious progress on the packed field, before spinning on corner exit, tumbling back down to last place. Without panicking, Daniel got his kart turned around, and minimized the damage, dragging his kart up to 35th spot at the end of the 8 lap ‘pre-final’. Not wanting to shake Daniel’s confidence, the mechanics decided it would be best to not tell driver #12 about the damage to the carburetor which could not be fixed in time, or how badly skewed his front alignment was. He had enough to think about…the less problems the better. During the final race, Daniel made up a further 7 spots, finishing in 28th place overall. While not ending up on the podium, extracting a mid-pack result from a dead last starting spot was an accomplishment for the young driver. When the race was over, and the podium presentations wrapped up, Daniel DiLeo spoke with driver #16 (and lead mechanic) Chris Demaras privately. He confided that he had been thinking about Young Daniel over the past few weeks, concerned that Chris’ inexperience in setting up the chassis would limit Daniel’s progress. 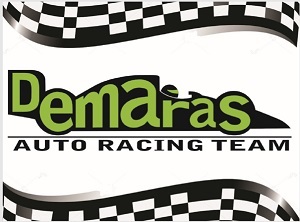 DiLeo then introduced Chris Demaras to James Treadwell, general manager of Venom Racing Solutions.